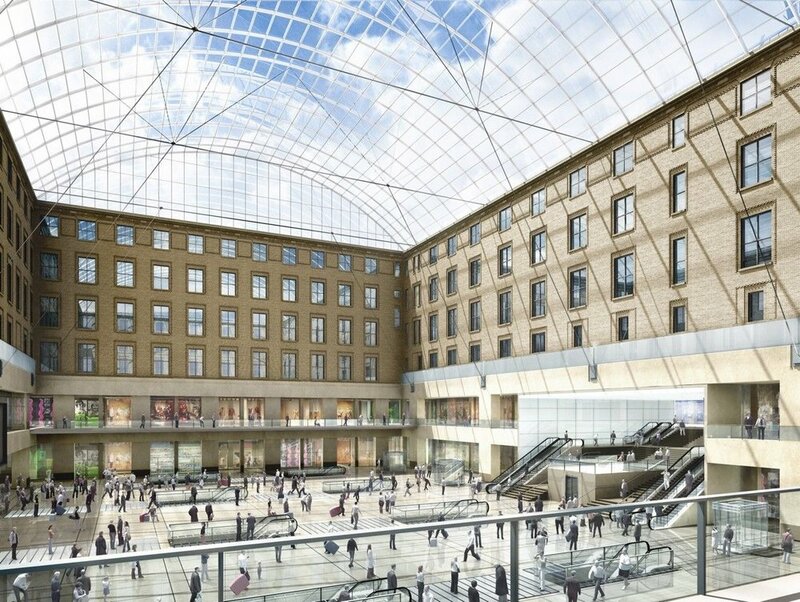 Moynihan Station is the proposed, long-overdue expansion of New York’s Penn Station into the Farley Post Office building. This project has been in planning for over a decade and has gone through numerous iterations; the one pictured above is from 2006. The Farley building is ideally situated for this purpose due to the fact that the existing Amtrak lines to Penn Station run below this building. These tracks were originally used for the transportation of mail and the old platforms are still intact below the building. The design calls for an adaptive reuse of the existing historic structure with light, airy steel and glass elements expressing a modern, but complementary, intervention into the existing heavy masonry structure.